... or with your Paypal account. 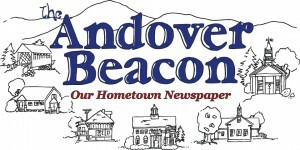 Here’s where you can pay an invoice for an advertisement in The Andover Beacon. You will be taken to Paypal, where you can pay using a credit card, even if you don’t have a Paypal account. If you can include your invoice number in the box below, that will help us be sure we apply it properly. If you need to send us any other comments, there will be room for that on the following pages. If you have any problems or questions, don’t hesitate to contact Shelley at 735-6099 or Accounting@nullAndoverBeacon.com.